Super Bowl is a major National Football League championship game in the U.S., it’s the event where almost everyone is excited and talking about right now so what better place for Apple to debut its App Store short link URL than in a Super Bowl advertisement? 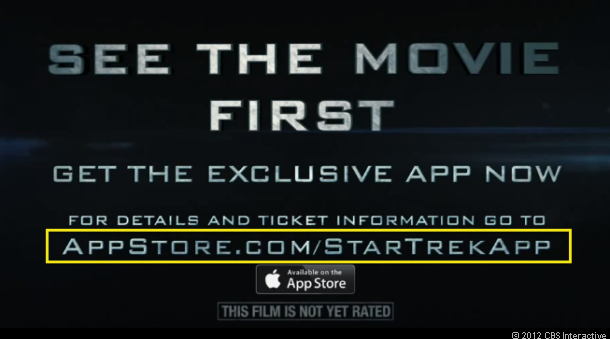 Early yesterday morning, the Appstore.com URL shortener, which brings you directly to the iTunes Store, debuted in an ad for the next Star Trek movie – Appstore.com/startrekapp. AppStore.com is a URL shorterner that makes it easier and faster for us to open an app via iTunes. It replaces the traditional URL filled with numbers and codes that doesn’t make any sense to a regular user so instead of something like http://itunes.apple.com/us/artist/smule/id290596339?mt=8, it will now be AppStore.com/Smule. According to a note to the developers, App Store Short Links code works for both Mac and iOS users, and you can use the link to access a company name, app name or app by company; details available over at Apple’s Developer page.